Seagate is a famous hard drive manufacturer and has a strong customer base. They usually create a good quality of hard drives for Windows users but despite their efforts, sometimes the users face issues while using their Seagate external hard drives. Many users have reported that their hard drive suddenly stop working & doesn’t show up. It leads to the Seagate External Hard drive not showing up. This causes trouble for users as all the data stored in the hard drive cannot be accessed in this situation. Why Does Seagate External Hard Drive Not Showing Up Error Occur? How to Fix Seagate External Hard Drive Not Showing Up? Many solutions have been tried and tested by professionals to solve the problem of Seagate External Hard drive not showing up error. Follow them to resolve your issue in no time. 1. 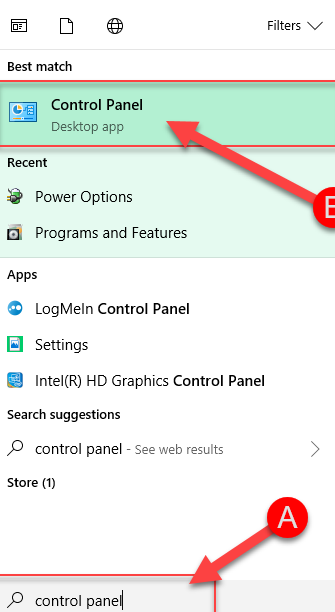 At First, navigate to Start Menu & type Control Panel. Select Control Panel from the result displayed. 2. Then navigate to Hardware and Sound>>Power Options. 3. Afterwards, hit Choose what the power button does from left pane. 4. Later, select Change settings that are currently unavailable. 5. 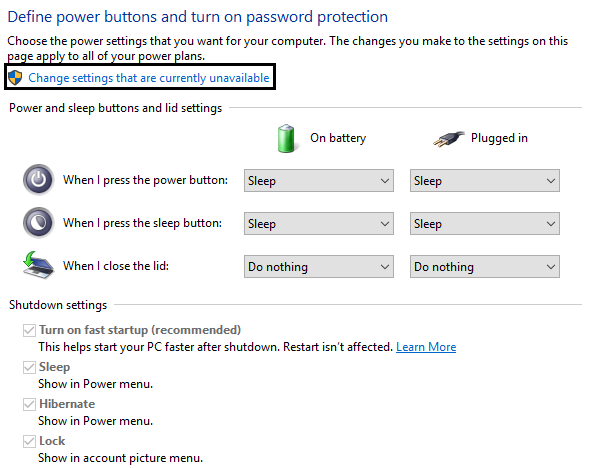 Then scroll down to the Shutdown settings area and uncheck Turn off fast startup (recommended). 6. Afterwards, click on the Save changes button. Finally, restart your PC to apply the changes. This is a straightforward solution to remove the error of Seagate External Hard drive not showing up. Remove your Seagate Hard Drive from the current port and put it into a different port that is in working condition. Also if you own a separate computer system or laptop, plug your Seagate hard drive to that one and check if the issue is resolved or not. If you can recognize and enable your hard drive by using another port, then the problem is solved. You just need to reconnect the hard drive to another port. If the hard drive still does not work, then most probably there is some fault or issue with the hard drive. You can take the help of technical support of Seagate to make sure that if your data in the Seagate external hard drive can be recovered. This method surely works with Seagate hard drives like Seagate GoFlex so if you use GoFlex device; you must try this solution to remove the Seagate External Hard drive not showing up error. 1. At First, press Windows Key+ S at the same time. 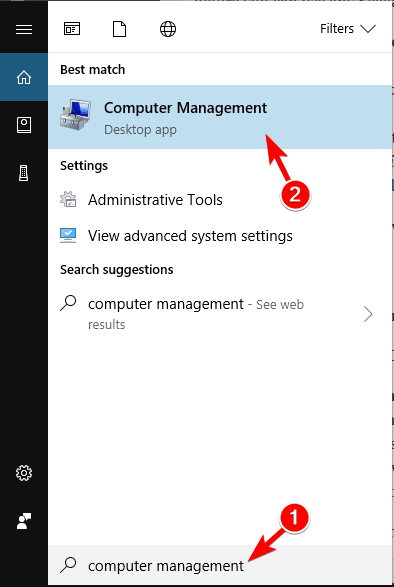 Then type “Computer Management” in it and choose Computer Management from the results displayed. 2. Afterwards, click on Disk Management located on the left side of your screens. 3. Later, right click on Seagate Central Drive and choose Delete Volume. The action will delete all files present in your Seagate external hard drive. 4. Now check if Disk 1 is available. Right click on it and then select Convert to GPT (Guide Partition Table). 5. Afterwards, right click on GPT now and then select New Simple Volume. Your Seagate External Hard drive not showing up error will be removed. 1. At First, press Windows Key + X together and select Device Manager from the menu. 2. 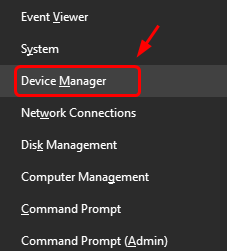 Then in the Device Manager window, find your external hard drive and right click on it. 3. 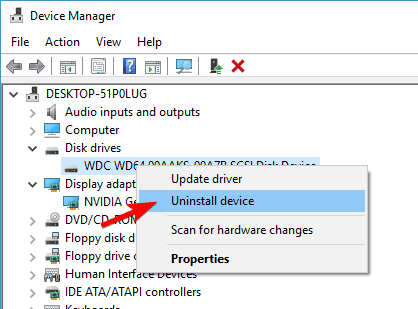 Afterwards, click on Uninstall device now and make sure to check Delete the driver software for this device. Click on OK.
4. After the driver is uninstalled, restart your PC. 5. 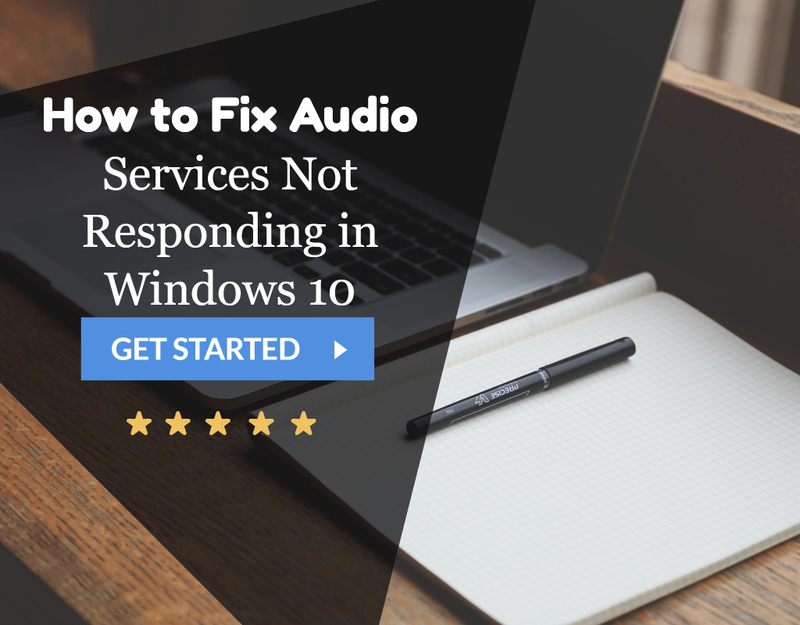 Finally, your PC restarts, Windows will automatically install the default drivers and the problem of Seagate External Hard drive not showing up error will be fixed up. 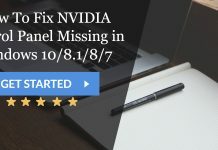 The Antivirus programs in your system can cause problems with Seagate Central on your Windows 10 computer. To fix this issue, you can modify your firewall settings. Usually, it is seen that McAfee & Avast antivirus software can lead to this issue, to fix it you need to go to the Port and System Services section in the McAfee antivirus software and select the Homegroup option. If you’re not able to remove the Seagate External Hard drive not showing up error even after this, then disable your Avast Antivirus program and firewall for some time and check if it is solved now. If still, you’re not able to remove the error, then download and install a new Antivirus program. Currently, Bitdefender and Bullguard are the best antivirus tools in the market, so you can try them to get a better Antivirus program. 1. At First, navigate to Settings and click on Accounts. 2. In the Accounts section, click on Sign in with a local account instead. 3. 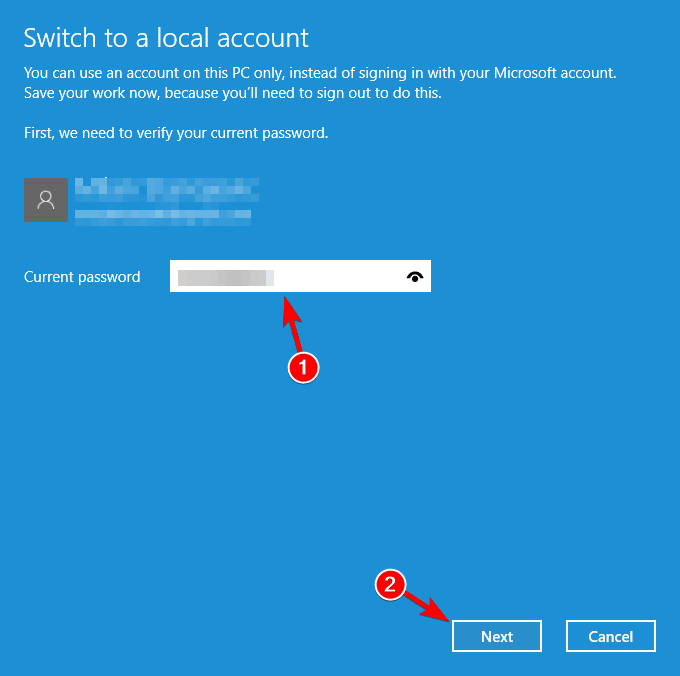 Then enter the username & password of your Microsoft account and click on Next. 4. 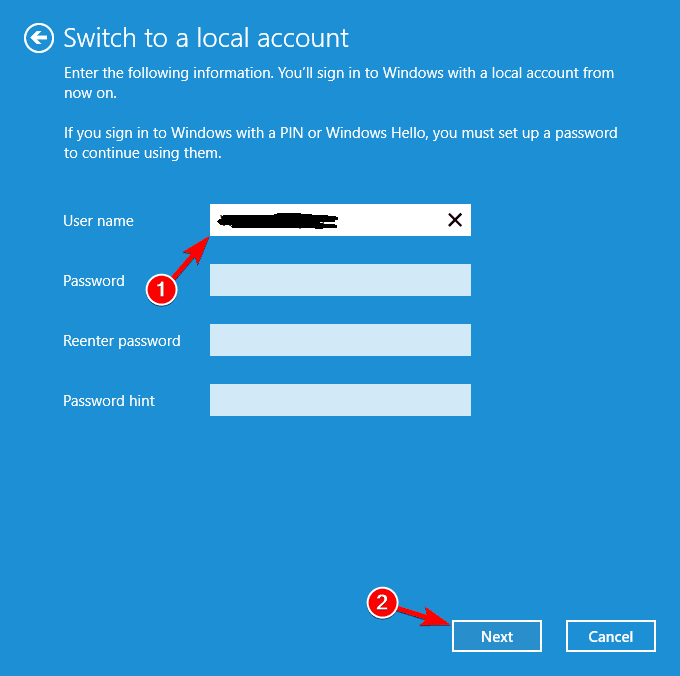 Next, enter new username and password which you would like to use. 5. Afterwards, click on Sign out and Finish. 6. Log in again with your local account. Now check if the Seagate External Hard drive not showing up error is removed. In case of any issue refer to this article. 1. At First, press Windows + I keys at the same time to open Settings. 2. Under the Settings, go to Apps. Then click on Apps & Features option displayed at the left pane of your screens. 3. Afterwards, the list of all the installed apps in your PC will appear, find Seagate Software in it and click on Uninstall. Follow on-screen instructions to uninstall the application. 4. Next, move to Seagate’s website and download Seagate Software from there and reinstall it in your PC. correct drivers for your PC. 1. At First, press Windows Key + S at the same time. Type Computer Management in it and select it. 2. 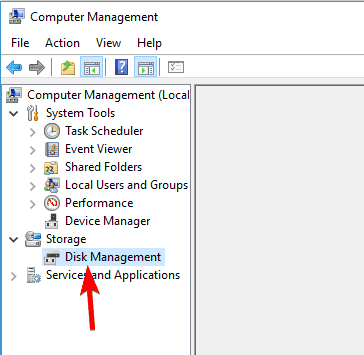 Then click on Disk Management located on the left side of your screens. 3. If there’s a drive without a letter, ensure that it is your Seagate GoFlex drive. 4. Afterwards, right-click on it and click on Change Drive Letter and Paths. 5. If the external Seagate hard drive is without a letter, click on Add button to add a letter for the hard drive. 6. Then assign a letter to the drive and click on OK.
After assigning a drive letter to your Seagate External hard drive, the Seagate External Hard drive not showing up error will be removed and your hard drive will start working again. 1. At First, press Ctrl + Shift + Esc on your keyboard to open Task Manager. 2. Under the Task Manager window, navigate to the Startup tab. Locate OneDrive, right click on it and select Disable option. Finally, check if the Seagate External Hard drive not showing up error is resolved. 1. At First, download AOMEI Partition Assistant on your PC. Install it & run. 2. 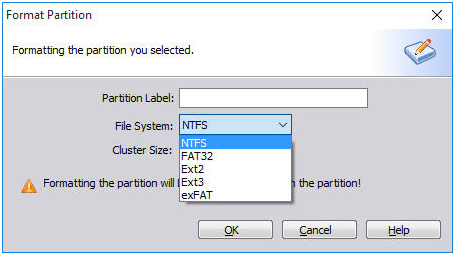 Then find the hard drive partition that need formatting, right-click on it and select Format. 3. Afterwards, set the File System of partition and add Partition Label to it. 4. Finally, confirm the process by clicking on the Apply button. If any external hard drive is not initialized, it will not be recognized or shown in the Windows File Explorer. To solve the Seagate External Hard drive not showing up error due to this issue, right-click on the hard drive and select the option Initialize Disk and follow the on-screen instructions to initialize the disk. Remember that this method will erase all the data present in your Seagate External hard drive. So if you can afford to lose your data then go for this method. MBR means Master Boot Record. When you see the Seagate External Hard drive not showing up or not initialized Disk in the Disk management, then the cause of this issue could be a damaged MBR. In this case, you need to fix the Master Boot Record and then check whether the Seagate External disk shows up in the File Explorer or not. Overall, fixing up Seagate External hard drive not showing up error is not a difficult task. It is a common issue that has troubled many users but if you take proper action by following the solutions properly, the error will be removed in a short period from your PC. 1 Why Does Seagate External Hard Drive Not Showing Up Error Occur? 2 How to Fix Seagate External Hard Drive Not Showing Up?